The new HD2 Sport Edition Camera from Xcel is a user-friendly tactical action recording device ideal for active outdoor enthusiasts and perfect for mounting on a car, boat, ATV or a helmet. 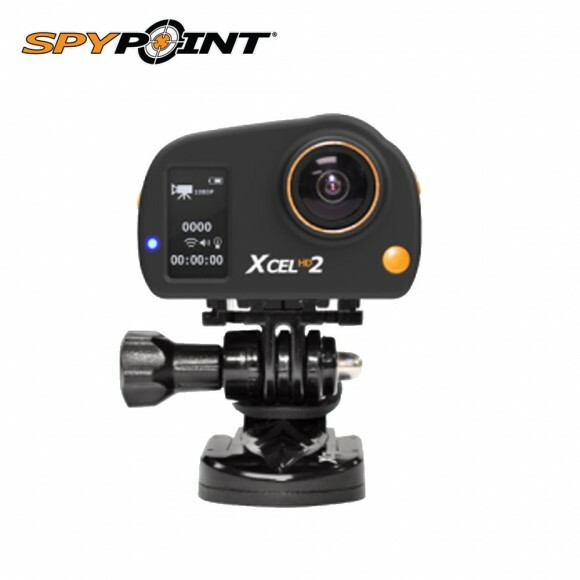 Designed by the same company as SpyPoint range cameras, the Xcel HD2 camera captures beautifully sharp full high-definition 1080p videos with sound and takes stunning 12 Megapixel high-resolution images. The Sport Edition HD2 camera pack contains clear waterproof housing, 360° roll bar mount, straight and 90° extenders, two quick release stands and two adhesive mounts (curved and flat). Additionally, the Xcel HD2 Sport Edition camera comes with wireless two-way remote control, rechargeable Li-poly battery, padded carrying case, wrist strap, lens protector, HDMI and USB cables, and lens cleaning cloth. In the air, on land or under water, the HD2 Sport Edition camera from Xcel allows you to replay, enjoy and share every moment of your action packed day in virtually all weather conditions.